Wi-Fi is becoming increasingly prevalent on transport systems, and could help shift users away from private vehicle use and towards mass transport. Photo by Jens Schott Knudsen/Flickr. 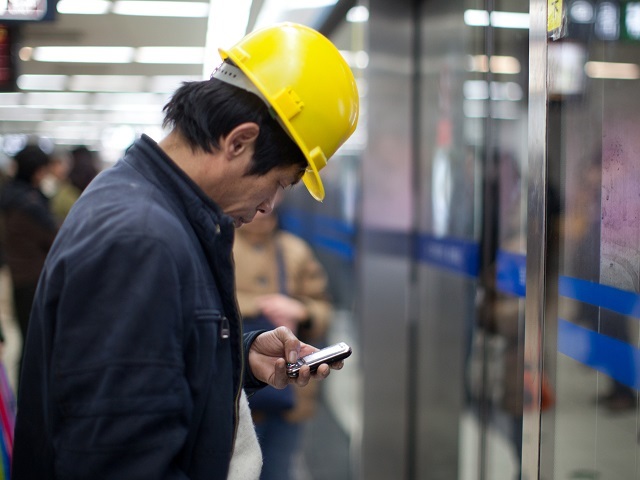 The global rise of smartphone usage has a number of implications for mass transit. It enables ridesharing – a service quickly emerging in cities worldwide. It can improve predictability of transport services through real-time tracking and crowdsourcing apps. It can even improve user experience and transport planning for informal transport systems. Now, as more cities explore using Wi-Fi-enabled transport services, can Internet access encourage more people to switch from cars to mass transit? Though Wi-Fi has been offered on some transport systems for many years, it has not yet become widespread. That may be changing, as cities worldwide are experimenting with offering Wi-Fi on buses and metro systems. As of 2012, there were about one billion smartphone users worldwide, and this number is expected to grow to 2.5 billion by 2017. Metro systems in cities such as Tokyo, Japan; Moscow, Russia; Paris, France; and Bangalore, Mumbai, and Gurgaon in India now offer free Wi-Fi. Bus systems in cities such as Porto Alegre and São Paulo in Brazil; Beijing, China; London, United Kingdom; and Mumbai, India are also experimenting with offering Wi-Fi. Most of these services for buses and metros have been launched in the past year. Wi-Fi can make transport systems more appealing to potential users, and preliminary evidence suggests that this may translate into higher ridership. Multiple studies from the United States suggest that there is strong demand for Wi-Fi on transport services. Research on whether this demand translates to increased ridership is still in early stages. The United States train service Amtrak launched free Wi-Fi on its California Capital Corridor Route in November 2011. A recent study indicates that 2012 ridership on this route was expected to be 2.7% higher than it would have been without free Wi-Fi. The cost of providing Wi-Fi service on this route – which carries about 1.7 million people per year – is $405,000 annually. Even in less wealthy cities where smartphones are not as prevalent, Wi-Fi may be an important part of the future of mass transit. In Nairobi, Kenya, some matatus – the ubiquitous minibuses that serve as a vital part of the city’s informal transport system – are installing Wi-Fi to attract riders. Telecommunications company Safarico also offers free Wi-Fi on about 3,000 matatus and buses across Kenya to attract more potential customers. Though only 15% of Kenya’s population has smartphones, this number is expected to rise to more than one-third of the population by 2017. Across Africa, mobile broadband penetration rose from 2% in 2010 to 11% in 2013, making it the fastest growing region for phone Internet access. The use of Wi-Fi on transport systems is still young, and it remains to be seen whether the benefits from improved user experience will justify the costs for providers. The cost-benefit analysis will also vary among transport modes, as Wi-Fi may be more likely to increase ridership and improve user experience on inter-city rail transport than intra-city buses, for example. For cities, the benefits of increasing public transport ridership extend far beyond increased ticket revenue. Shifting residents from private vehicles to public transport can improve air quality and public health, decrease congestion, and save residents’ time among many other benefits. Does your city offer Wi-Fi on mass transit services? Would you like it to? Let us know in the comments!